I realize I have been absent for far too long to truly call myself a blogger – but I am hoping to rectify that this summer. Rather than delving in the past and writing a litany of reasons why I have been absent – I thought I would abide in the present for now. 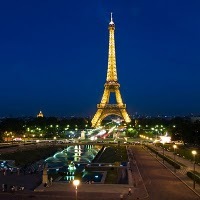 It is official….I am going to Paris for two full weeks this summer! As is my usual Mode of Operation, I conceived the idea, researched the idea, followed through on the idea – and now that it is set, all the anxieties of “what have I done? !” are starting to surface. While I am quite excited – I am also wondering how I could possibly expect to traverse a foreign country, where I know only the basics of the language, on my own? How will I get through customs by myself? How will navigate from the airport to the apartment by myself? How will I buy necessities like toilet paper by myself? While there are a million questions like this running through my mind at any given time of day, I can also attest to the fact that I am ready for this next adventure in life. 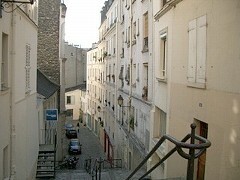 I discovered this adorable one bedroom apartment in the Montmartre section of Paris on Homeaway.com in March. I contacted the landlord, Isabelle, via email and within minutes she responded with open dates. Since that time we have corresponded numerous times and she is always willing to share her expertise. I told Isabelle that I wish to experience Paris as a Parisian this time. I have had the opportunity to visit this City of Lights twice in the past: once in high school in 1977 and again for about 36 hours in 2006. I have seen most of the tourist attractions, and while I would like to visit the Tour Eiffel and Arc de Triomphe again – I really want to visit the out-of-the-way cafes and local street markets. She said that she will have three pages of her favorite spots ready for me when I arrive! 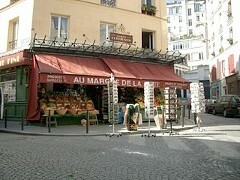 Over the past few weeks I have researched Paris day trips on my own as well as on TripAdvisor.com. I have found a couple of Photography courses/tours that I think sound perfect to do within the first couple of days: Photo Tours in Paris and Better Paris Photos. Not only would I have the opportunity to see some of the premier sites of the city, but I will also learn some valuable photography tips that I can use for the rest of my vacation. Of course these courses are rather expensive, but I think that the double benefit of a semi-private tour as well as practical instruction might make it worth the cost. In addition I have investigated some possible side trips including a wine tour. I absolutely LOVE the wines from the Beaujolais region, but seeing how Lyon is about a three hour train ride from Paris, that will probably not be a part of this trip. However, the Champagne district is nearby (and who doesn’t like champagne) as well as the Loire Valley. I am leaning towards taking a tour with Wine Day Tours which provides a 12 hour tour of the local wine region including visits to family run wineries and vineyards. Again, this is rather expensive, but I also view it as a once-in-a-lifetime experience. I just want to ensure that I go on a sunny day rather than rainy one — and I will definitely have to overcome my shy, introverted way around strangers. So after much deliberation and quite a bit of daydreaming – I finally booked the flight. I will leave the states on Saturday, July 23 and return on Sunday, August 7. There is no turning back now, so I best start practicing with Rosetta Stone in order to build my very weak confidence. 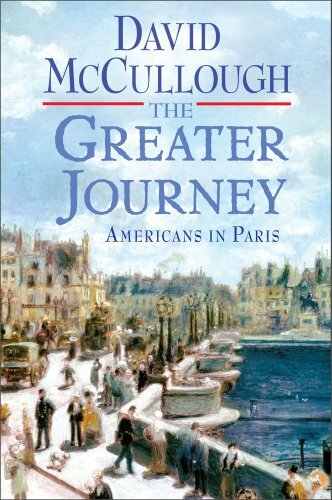 In the meantime….I just noticed David McCullough’s newest book is now available, The Greater Journey, and while I have not read any of his non-fiction masterpieces in the past, I think this one is calling my name. It's wonderful that you are getting the opportunity to realize one of your dreams. I hope you have the best two weeks imaginable. It'll be such an adventure for you! Can't wait to read more about it. That's so exciting! I can't wait to hear all about it. And David McCullough is wonderful to read. How exciting! I hope you have the time of your life. You can navigate Paris pretty well without much French. We used to live in Lyon, and the TGV between Lyon and Paris used to take 2 hours. Hip Hip Hooray! You go girl! Woo-hooo! and Atta-girl! I'm so excited for you. This is truly the trip of a lifetime. I hope you enjoy every minute. Maybe we can finally meet up after your return so I can see all those great photos. That all sounds totally awesome! I am SO glad you are doing this! Molly, this is very exciting. Hope you have the wonderful time that you deserve. So, so, so excited for you!! Cannot wait to see your photographs and hear all about it:) Yay!!! Isabella sounds like a treasure!!! How exciting. Such exciting news! Good for you. I will wait with anticipation to hear of your adventure, Molly, which sounds delightful. I'm anxious to read The Greater Journey. David McCullough will be in Chicago as part of his book tour and some friends and I are going to see him on Monday. Good for you!! And all those questions and worries you have? Those are what makes it an ADVENTURE! You're going to have such a wonderful time…relax and enjoy it! How exciting and brave! I can hardly make myself drive to Lincoln alone! They always say facing your fears is the way to overcome them and you'll probably find you're a much stronger person than you think once you're on your own! Oh Molly, I am so happy for you AND so envious!! I've been to Paris once, a rainy Christmas week, and would love to return. I have traveled alone to Europe, and done the dreaded (!) customs thing alone – no problem, btw – driven alone through the French Alps. It's quite an adventure. I can't wait to read all about your travels. And the photo/touring courses sound like a wonderful idea. How wonderful. Enjoy, enjoy, enjoy and then write all about it so we can enjoy along with you. That is so very exciting! I can't wait to hear about all of your adventures in Paris! I am so happy for you, Molly. I think about my visit to Paris every day. It changed me. In a good way. Holler at me (debnance at gmail dot com) if you want to talk Paris. I am happy you are going!